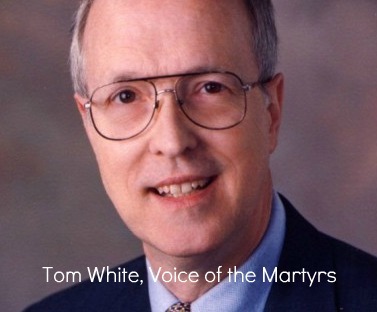 Tom White has been the face of Voice of the Martyrs for the past two decades. With Tom White as its head, the ministry of Voice of the Martyrs increased exponentially. What will happen next to that ministry is in the Lord’s hands (which is the best place for it to be). The tragic details of Tom White’s death are just now coming to light. I searched two days for answers after first learning of White’s death on Wednesday. 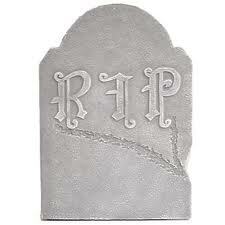 His death was so sudden. It seemed something had to be wrong. As it turns out, something was wrong indeed. Word is now leaking out from Bartlesville, OK (headquarters of Voice of the Martyrs) that Tom White was being investigated for inappropriate relations with a young girl. The official blog page from Voice of the Martyrs has posted an announcement admitting there were allegations and acknowledging that those circumstances apparently led Tom White to take his own life. I do not report this gladly. I have wept over the tragedy. Tom White has been a great influence in my life and has shaped to some degree my desire to know the persecuted church of Christ. I have fond memories of an evening I was able to spend with him in Cincinnati. Between the various courses of sushi, we spoke of the church in Iran, Pakistan, Vietnam, Laos, China, and Iraq. His knowledge of particular examples of persecution was unparalleled. Even more edifying was his ability to recount example after example of Christians being wise as serpents yet innocent as doves in the face of horrendous suffering. I told my wife that night that I hope to be like that some day—able to unfold global gospel encounters one after the other as an encouragement to all believers. Sadly, I can now be reminded of an even more crucial lesson from Tom White. The evil one prowls like a lion seeking whom to devour. Sin is not limited to the down and out. Sin is capable of destroying any of us, and, certainly, the evil one desires for it to ruin pastors and leaders—striking the shepherd in hopes of causing the sheep to flee. It is an old strategy—but still a terribly effective one. My response to all of this is not to doubt Voice of the Martyrs and most definitely NOT to doubt ministry to the persecuted church. My response is to remember that the real battle we must win is the personal battle over sin and death. Or, better put, we must remember the battle Christ has won over sin and over death and remain extremely close to Him. May the Lord bring His miraculous power to Tom White’s family, especially his wife and children. May the Lord remind us all to pray diligently for our pastors and leaders. TEHRAN (AFP): Iran’s supreme court has overturned a death sentence handed down to Yusef Nadarkhani, a Christian pastor accused of apostasy for having converted from Islam, his lawyer told AFP on Sunday. “The supreme court has annulled the death sentence and sent the case back to the court in Rasht (his hometown), asking the accused to repent,” Mohammad Ali Dadkhah said. Nadarkhani, now 32, converted from Islam to Christianity at the age of 19 and became a pastor of a small evangelical community called the Church of Iran. He was arrested in October 2009 and condemned to death for apostasy under Iran’s Islamic Sharia laws, which however allow for such verdicts to be overturned if the convicted person “repents” and renounces his conversion. After his conviction was upheld by an appeal court in Gilan province in September 2010, Nadarkhani turned to the supreme court. His wife, who was initially sentenced to life imprisonment, was released on appeal. The lawyer said the verdict had been read out to him on the telephone and that he needed to travel to Rasht, where Nadarkhani is being held, to see the ruling for himself. Dadkhah said he himself was sentenced on Sunday by a Tehran court to nine years in jail and a 10-year ban on practicing law or teaching at university for “actions and propaganda against the Islamic regime”. The lawyer said he had been criticised for having cooperated with the Centre for the Defence of Human Rights, an organisation founded by Nobel peace laureate Shirin Ebadi, as well as for giving interviews to foreign radio stations. “I have 20 days to lodge an appeal,” he said. The article linked above is one designed to help us cope with loss, or, better, to see some gain even through our losses. Spring is the time for planting, for hoping, for expecting new life. Gardening is one of the joys offered each spring. I wrote the article above with two thoughts in mind. First, I was thinking of my dad. 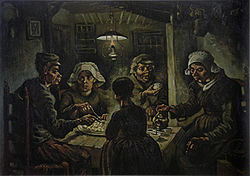 Second, I was thinking of a painting by Vincent Van Gogh called “The Potato Eaters.” The painting is not particularly famous. Most write it off as Van Gogh’s “early” work before he became fascinated with the pursuit of the perfect yellow. Nevertheless, the painting is a brilliant display of the “earthiness” of all people. That theme is obvious in the gardening article above. 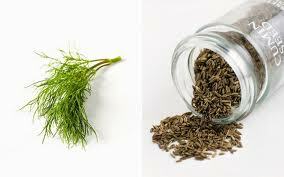 Hopefully, the article will be both sobering and encouraging for you as springtime rolls around. “It was very, very rare for the primary motive to be political, though there were a number of attackers who appeared to clothe their motives with some political rhetoric,” Fein says. What emerges from the study is that rather than being politically motivated, many of the assassins and would-be assassins simply felt invisible. In the year before their attacks, most struggled with acute reversals and disappointment in their lives, which, the paper argues, was the true motive. They didn’t want to see themselves as nonentities. “They experienced failure after failure after failure, and decided that rather than being a ‘nobody,’ they wanted to be a ‘somebody,’ ” Fein says. They chose political targets, then, because political targets were a sure way to transform this situation: They would be known. The study, in a sense, confirms what I stated in an earlier blog post, namely, that Loughner’s actions represent the anti-gospel. Where Christ says discipleship (that is, following Him) begins with denying self, then taking up your cross, then following Christ, Loughner’s actions were just the reverse. If he fits the typical profile of a political assassin, he did this for his own fame. He did this solely for himself—to make a name for himself so that he would not be forgotten. He wanted to be somebody. So, he killed somebody. In fact, he killed 6 somebodies. . .
Where Christ died so others might be given His fame, Jeff Loughner killed so that others would make him infamous. That’s all. For the reward of making his name known, he killed … No wonder he got upset that one of his subduers was hurting his arm. He made himself his own idol. He was bloodthirsty for a name. So, he robbed families of names they loved. Jeff killed John Roll, Christina Taylor Green, Gabe Zimmerman, Phyllis Schneck, Dorwan Stoddard, and Dorothy Morris to make sure someone would remember know his name. Such action is clearly anti-gospel. It is the spirit of anti-Christ in the sense that Christ offers exactly the reverse. Christ died, laying down His own life so that others might enjoy the benefits of receiving His name. Jesus taught His followers that a greater cannot be found than the love of a man who would lay down his life for his friends. Dorwan Stoddard’s love is spoken of this story. He saved the life of his best friend–his wife. I had not thought of making wisdom and slavery opposites before reading Genesis 2 today, but these 2 ideas are opposites. The Lord speaks to the Man and gives him the command to eat freely of everything in the garden except for the tree of the knowledge of good and evil. Obviously, for this command to make sense, the Man already had some head knowledge of both good and evil. What he did not have is experiential knowledge of evil. If Man had stayed forever away from the experiential knowledge of evil, he would have grown in wisdom and knowledge before the Lord and enjoyed great harmony in the Garden. Wisdom means applying godly knowledge to life, thereby learning more about God and life. Yet, we know that the Man did not follow the course of growing in wisdom; instead, he took the forbidden fruit and fell into the experiential knowledge of good and evil. This fall was not innocent; it brought guilt and judgment. Indeed, it brought death. So, the picture is clear from Genesis 2 that the way of obedience is the way of wisdom, but the way of disobedience is the way of being trapped into death. The freedom of life and the slavery of death are always on the line in the matter of obedience. I have a video linked here which demonstrates that the Lord establishes strength out of the mouth of babes and infants. This little girl, Hannah, speaks the truth. She also displays the fruit of a family which has reared this child in the nurture and admonition of the Lord. I post this video today because it is a very healthy reminder that the Lord has not finished his work on earth just yet. Our church lost a great man yesterday. Otis Ray Ratliff passed away at the age of 95. Today, we have a little less salt on the earth and a little less light in the sky around us; yet, God is not finished building his kingdom. Be encouraged by this little girl–and the future of Christ’s kingdom for His people.